The patented continuous stiffness technique (CSM) yields the respective values for each point of the measurement throughout the whole loading cycle and enables dynamic experiments to characterize the time dependent mechanical behavior of the sample. Scratch tests provide information about the wear resistance of surfaces as well as the interfacial adhesion between coatings on a substrate. 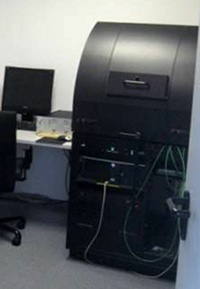 Interactive scanning allows characterizing the indent and scratching geometries in the nanometer scale and to position indents within several nanometers. 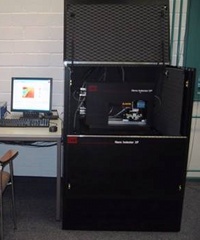 For temperature dependent testing our nanoindenters are equipped with heating/cooling stages and laser heaters. 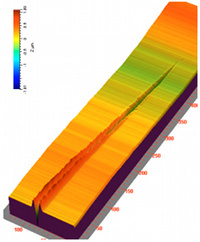 Sample properties can be determined at temperatures up to 500°C.